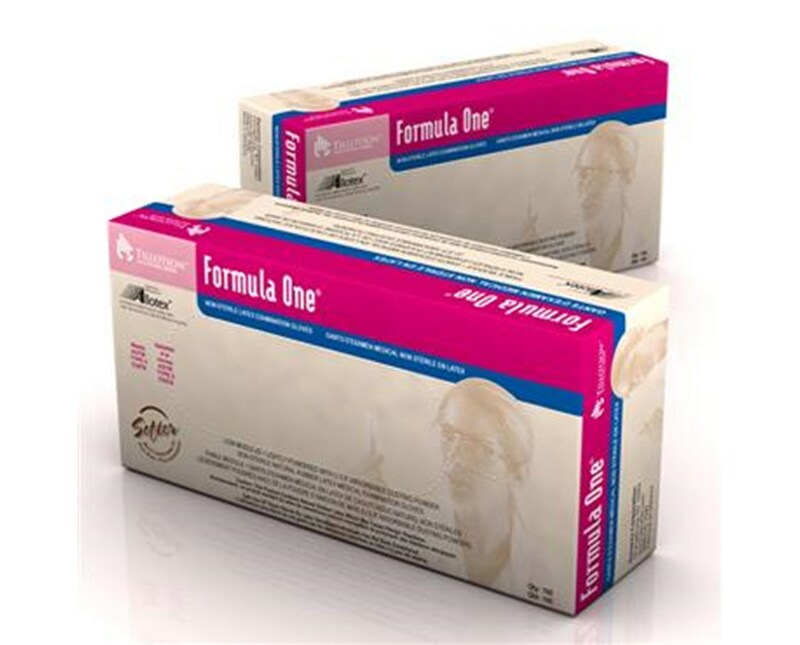 Formula One Latex Exam Gloves are manufactured with a Patented Allotex enzyme treated latex which reduces latex allergens by as much as 99+%. 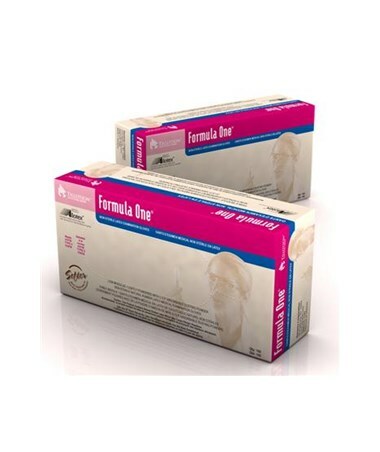 Formula One Latex Exam Gloves have a low modulus formulation for the ultimate in comfort and stretch. Lightly powdered interior aids in the ease and quickness of donning. Less than 70 mg of powder per glove.